During its seventy-year history, the Soviet Union usually had a de facto leader who would not necessarily be head of state, but would lead while holding an office such as Premier or General Secretary. Under the 1977 Constitution, the Chairman of the Council of Ministers, or Premier, was the head of government and the Chairman of the Presidium of the Supreme Soviet was the head of state. The office of the Chairman of the Council of Ministers was comparable to a prime minister in the First World whereas the office of the Chairman of the Presidium was comparable to a president. In the ideology of Vladimir Lenin, the head of the Soviet state was a collegiate body of the vanguard party (see What Is To Be Done?). Following Joseph Stalin's consolidation of power in the 1920s, the post of the General Secretary of the Central Committee of the Communist Party became synonymous with leader of the Soviet Union because the post controlled both the Communist Party and the Soviet government both indirectly via party membership and via the tradition of a single person holding two highest posts in the party and in the government. 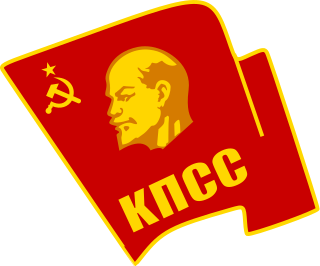 The post of the General Secretary was abolished in 1952 under Stalin and later re-established by Nikita Khrushchev under the name of First Secretary. In 1966, Leonid Brezhnev reverted the office title to its former name. Being the head of the Communist Party of the Soviet Union, the office of the General Secretary was the highest in the Soviet Union until 1990. [incomplete short citation] The post of General Secretary lacked clear guidelines of succession, so after the death or removal of a Soviet leader the successor usually needed the support of the Politburo, the Central Committee, or another government or party apparatus to both take and stay in power. The President of the Soviet Union, an office created in March 1990, replaced the General Secretary as the highest Soviet political office. Contemporaneously to establishment of the office of the President, representatives of the Congress of People's Deputies voted to remove Article 6 from the Soviet Constitution which stated that the Soviet Union was a one-party state controlled by the Communist Party which in turn played the leading role in society. This vote weakened the party and its hegemony over the Soviet Union and its people. Upon death, resignation, or removal from office of an incumbent President, the Vice President of the Soviet Union would assume the office, though the Soviet Union collapsed before this was actually tested. After the failed August 1991 coup, the Vice President was replaced by an elected member of the State Council of the Soviet Union. Vladimir Lenin was voted the Chairman of the Council of People's Commissars of the Soviet Union (Sovnarkom) on 30 December 1922 by the Congress of Soviets. At the age of 53, his health declined from effects of two bullet wounds, later aggravated by three strokes which culminated with his death in 1924. Irrespective of his health status in his final days, Lenin was already losing much of his power to Joseph Stalin. 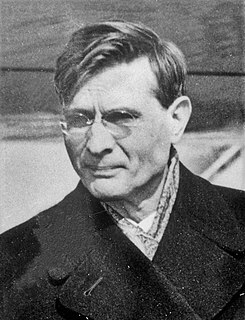 Alexei Rykov succeeded Lenin as Chairman of the Sovnarkom and although he was de jure the most powerful person in the country, the Politburo of the Communist Party began to overshadow the Sovnarkom in the mid-1920s. By the end of the decade, Rykov merely rubber stamped the decisions predetermined by Stalin and the Politburo. Stalin's early policies pushed for rapid industrialisation, nationalisation of private industry and the collectivisation of private plots created under Lenin's New Economic Policy. As leader of the Politburo, Stalin consolidated near-absolute power by 1938 after the Great Purge, a series of campaigns of political murder, repression and persecution. Nazi German troops invaded the Soviet Union in June 1941, but by December the Soviet Army managed to stop the attack just shy of Moscow. On Stalin's orders, the Soviet Union launched a counter-attack on Nazi Germany which finally succeeded in 1945. Stalin died in March 1953 and his death triggered a power struggle in which Nikita Khrushchev after several years emerged victorious against Georgy Malenkov. Khrushchev denounced Stalin on two occasions, first in 1956 and then in 1962. His policy of de-Stalinisation earned him many enemies within the party, especially from old Stalinist appointees. Many saw this approach as destructive and destabilising. A group known as Anti-Party Group tried to oust Khrushchev from office in 1957, but it failed. As Khrushchev grew older, his erratic behavior became worse, usually making decisions without discussing or confirming them with the Politburo. Leonid Brezhnev, a close companion of Khrushchev, was elected First Secretary the same day of Khrushchev's removal from power. Alexei Kosygin became the new Premier and Anastas Mikoyan kept his office as Chairman of the Presidium of the Supreme Soviet. On the orders of the Politburo, Mikoyan was forced to retire in 1965 and Nikolai Podgorny took over the office of Chairman of the Presidium. The Soviet Union in the post-Khrushchev 1960s was governed by a collective leadership. Henry A. Kissinger, the American National Security Advisor, mistakenly believed that Kosygin was the leader of the Soviet Union and that he was at the helm of Soviet foreign policy because he represented the Soviet Union at the 1967 Glassboro Summit Conference. The "Era of Stagnation", a derogatory term coined by Mikhail Gorbachev, was a period marked by low socio-economic efficiency in the country and a gerontocracy ruling the country. Yuri Andropov (aged 68 at the time) succeeded Brezhnev in his post as General Secretary in 1982. In 1983, Andropov was hospitalised and rarely met up at work to chair the politburo meetings due to his declining health. Nikolai Tikhonov usually chaired the meetings in his place. 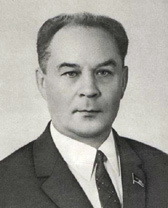 Following Andropov's death fifteen months after his appointment, an even older leader, 72 year old Konstantin Chernenko, was elected to the General Secretariat. His rule lasted for little more than a year until his death thirteen months later on 10 March 1985. At the age of 54, Mikhail Gorbachev was elected to the General Secretariat by the Politburo on 11 March 1985. In May 1985, Gorbachev publicly admitted the slowing down of the economic development and inadequate living standards, being the first Soviet leader to do so while also beginning a series of fundamental reforms. From 1986 to around 1988, he dismantled central planning, allowed state enterprises to set their own outputs, enabled private investment in businesses not previously permitted to be privately owned and allowed foreign investment, among other measures. He also opened up the management of and decision-making within the Soviet Union and allowed greater public discussion and criticism, along with a warming of relationships with the West. These twin policies were known as perestroika (literally meaning "reconstruction", though it varies) and glasnost ("openness" and "transparency"), respectively. The dismantling of the principal defining features of Soviet Communism in 1988 and 1989 in the Soviet Union led to the unintended consequence of the Soviet Union breaking up after the failed August 1991 coup led by Gennady Yanayev. The following list includes persons who held the top leadership position of the Soviet Union from its founding in 1922 until its 1991 dissolution. Note that † denotes leaders who died in office. 8 September 1953 — Succeeded to all of Stalin's titles, but he was forced to resign most of them within a month. Through the office of Premier, Malenkov was locked in a power struggle against Khrushchev. 9 February 1984† — General Secretary of the Central Committee of the Communist Party and Chairman of the Presidium from 16 June 1983 to 9 February 1984. 10 March 1985† — General Secretary of the Central Committee of the Communist Party and Chairman of the Presidium from 11 April 1984 to 10 March 1985. Served as General Secretary from 11 March 1985 and resigned on 24 August 1991, Chairman of the Presidium of the Supreme Soviet from 1 October 1988 until the office was renamed to the Chairman of the Supreme Soviet on 25 May 1989 to 15 March 1990 and President of the Soviet Union from 15 March 1990 to 25 December 1991. The day following Gorbachev's resignation as President, the Soviet Union was formally dissolved. On four occasions—the 2–3 year period between Vladimir Lenin's incapacitation and Joseph Stalin's dictatorship; the three months immediately following Stalin's death; the interval between Nikita Khrushchev's fall and Leonid Brezhnev's consolidation of power; and the ailing Konstantin Chernenko's tenure as General Secretary—a form of collective leadership known as the troika ("triumvirate") governed the Soviet Union, with no single individual holding leadership alone. April 1925 When Vladimir Lenin suffered his first stroke in May 1922, a troika was established to govern the country in his place, although Lenin briefly returned to the leadership from 2 October 1922 until a severe stroke on 9 March 1923 ended Lenin's political career. The troika consisted of Lev Kamenev, Joseph Stalin and Grigory Zinoviev. The troika broke up in April 1925, when Kamenev and Zinoviev found themselves in a minority over their belief that socialism could only be achieved internationally. Zinoviev and Kamenev joined forces with Leon Trotsky's Left Opposition in early 1926. Later, Kamenev, Zinoviev and Trotsky would all be murdered on Stalin's orders. 26 June 1953 This troika consisted of Georgy Malenkov, Lavrentiy Beria and Vyacheslav Molotov and ended when Malenkov and Molotov joined Nikita Khrushchev in the arrest and execution of Beria. 16 June 1977 Following Khruschev's ouster, a troika took power consisting of Leonid Brezhnev as First Secretary, Alexei Kosygin as Premier and Nikolai Podgorny who ascended to the post of Chairman of the Presidium of the Supreme Soviet on 9 December 1965. During Brezhnev's gradual consolidation of power, the troika was dissolved when he succeeded Podgorny in 1977 as Presidium Chairman. However, the collective leadership continued to exist in a different shape after Podgorny's ouster in the party leadership throughout the rest of Brezhnev's rule. 20 December 1984 Despite succeeding Yuri Andropov as General Secretary, Konstantin Chernenko was unable to secure full control over the regime's apparatus due to his poor health and lack of a mandate from the nomenklatura. This resulted in a collective leadership giving Defense Minister Dmitry Ustinov and Foreign Minister Andrei Gromyko a monopoly over the Soviet Union's military and foreign policy respectively while leaving Chernenko in charge of the nation's domestic policies. From this point forward, these three figures dominated Politburo decision-making until Ustinov's death in December 1984. ^ As a revolutionary, then as leader of the Soviet Russia. ^ a b Armstrong 1986, p. 169. ^ a b Armstrong 1986, p. 165. ^ a b Armstrong 1986, p. 98. ^ Armstrong 1986, p. 93. ^ Ginsburgs, Ajani & van den Berg 1989, p. 500. ^ Armstrong 1989, p. 22. ^ Brown 1996, p. 195. ^ Brown 1996, p. 196. ^ Brown 1996, p. 275. ^ Gorbachev, M. (5 September 1991). ЗАКОН Об органах государственной власти и управления Союза ССР в переходный период [Law Regarding State Governing Bodies of the USSR in Transition] (in Russian). Union of Soviet Socialist Republics. Retrieved 14 July 2015. ^ Lenin 1920, p. 516. ^ Clark 1988, p. 373. ^ a b c d e Brown 2009, p. 59. ^ Gregory 2004, pp. 58–59. ^ Brown 2009, p. 62. ^ Brown 2009, p. 63. ^ Brown 2009, p. 72. ^ Brown 2009, p. 90. ^ Brown 2009, p. 148. ^ Brown 2009, p. 194. ^ Brown 2009, pp. 231–33. ^ Brown 2009, p. 246. ^ a b c Service 2009, p. 378. ^ a b c d e Brown 2009, p. 402. ^ Bacon & Sandle 2002, p. 13. ^ a b Brown 2009, p. 403. ^ Brown 2009, p. 398. ^ Zemtsov 1989, p. 146. ^ Brown 2009, p. 481. ^ Brown 2009, p. 487. ^ Brown 2009, p. 489. ^ Brown 2009, p. 503. ^ a b c Brown 2009, p. 53. ^ Sakwa 1999, pp. 140–143. ^ a b Service 2009, p. 323. ^ Service 1986, pp. 231–32. ^ Green & Reeves 1993, p. 196. ^ Service 2005, p. 154. ^ a b Service 2009, p. 331. ^ a b c d e f Service 2009, p. 332. ^ Cook 2001, p. 163. ^ Hill 1993, p. 61. ^ a b Taubman 2003, p. 258. ^ a b c d e f g Service 2009, p. 377. ^ Service 2009, p. 376. ^ Taubman 2003, p. 13. ^ Service 2009, p. 426. ^ a b Service 2009, p. 428. ^ Service 2009, p. 433. ^ Paxton 2004, p. 234. ^ a b c Service 2009, p. 434. ^ a b Europa Publications Limited 2004, p. 302. ^ a b c Paxton 2004, p. 235. ^ Service 2009, p. 435. ^ a b Gorbachev 1996, p. 771. ^ Service 2009, p. 503. ^ Paxton 2004, p. 236. ^ Paxton 2004, p. 237. ^ Tinggaard & Svendsen 2009, p. 460. ^ Reim 2002, pp. 18–19. ^ a b Rappaport 1999, pp. 141 & 326. ^ Rappaport 1999, p. 140. ^ Rappaport 1999, p. 325. ^ Andrew & Gordievsky 1990, pp. 423–24. ^ Marlowe 2005, p. 140. ^ Baylis 1989, p. 98. ^ Bialer, Seweryn. The Soviet Paradox: External Expansion, Internal Decline. I.B. Tauris & Co Ltd, London, 1986 , p. 105. ^ Zemtsov 1989, p. 184. ^ Zemtsov 1989, p. 185. Andrew, Christopher; Gordievsky, Oleg (1990). KGB: The Inside Story of Its Foreign Operations from Lenin to Gorbachev. HarperCollins Publishers. ISBN 978-0060166052. Armstrong, John Alexander (1986). Ideology, Politics, and Government in the Soviet Union: An Introduction. University Press of America. ASIN B002DGQ6K2. Brown, Archie (1996). The Gorbachev Factor. Oxford University Press. ISBN 978-0-19-827344-8. Bacon, Edwin; Sandle, Mark (2002). Brezhnev Reconsidered. Palgrave Macmillan. ISBN 978-0333794630. Baylis, Thomas A. (1989). Governing by Committee: Collegial Leadership in Advanced Societies. State University of New York Press. ISBN 978-0-88706-944-4. Cook, Bernard (2001). Europe since 1945: An Encyclopedia. 1. Taylor & Francis. ISBN 978-0815313366. Clark, William (1988). Lenin: The Man Behind the Mask. Faber and Faber. ISBN 978-0571154609. Duiker, William; Spielvogel, Jackson (2006). The Essential World History. Cengage Learning. p. 572. ISBN 978-0495902270. Europa Publications Limited (2004). Eastern Europe, Russia and Central Asia. Routledge. ISBN 978-1857431872. Gorbachev, Mikhail (1996). Memoirs. University of Michigan: Doubleday. ISBN 978-0385480192. Green, William C.; Reeves, W. Robert (1993). The Soviet Military Encyclopedia: P–Z. University of Michigan: Westview Press. ISBN 978-0813314310. Gregory, Paul (2004). The Political Economy of Stalinism: Evidence from the Soviet Secret Archives. Cambridge University Press. ISBN 978-0521533676. Hill, Kenneth (1993). Cold War chronology: Soviet–American relations, 1945–1991. University of Michigan: Congressional Quarterly. ISBN 978-0871879219. Lenin, Vladimir (1920). Collected Works. 31. p. 516. Marlowe, Lynn Elizabeth (2005). GED Social Studies. Research and Education Association. ISBN 978-0738601274. Paxton, John (2004). Leaders of Russia and the Soviet Union: from the Romanov dynasty to Vladimir Putin. CRC Press. ISBN 978-1579581329. Reim, Melanie (2002). The Stalinist Empire. Twenty-first Century Books. ISBN 978-0-7613-2558-1. Taubman, William (2003). Khrushchev: The Man and His Era. W.W. Norton & Company. ISBN 978-0393051445. Tinggaard Svendsen, Gert; Svendsen, Gunnar Lind Haase (2009). Handbook of Social Capital: The Troika of Sociology, Political Science and Economics. Edward Elgar Publishing. ISBN 978-1845423230. Zemtsov, Ilya (1989). Chernenko: The Last Bolshevik: The Soviet Union on the Eve of Perestroika. Transaction Publishers. ISBN 978-0887382604. 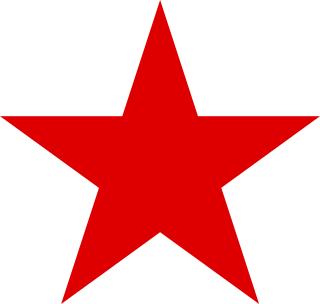 The Communist Party of the Soviet Union (CPSU) was the founding and ruling political party of the Soviet Union. The CPSU was the sole governing party of the Soviet Union until 1990, when the Congress of People's Deputies modified Article 6 of the most recent 1977 Soviet constitution, which had granted the CPSU a monopoly over the political system. Leonid Ilyich Brezhnev was a Soviet politician. The fifth leader of the Soviet Union, he was General Secretary of the Central Committee of the governing Communist Party of the Soviet Union (CPSU) from 1964 until his death in 1982. Ideologically, he was a Marxist-Leninist. He presided over the Soviet's greatest involvement in world affairs, including détente with the West. But he also increasingly confronted the Sino-Soviet split, which divided and weakened communist parties across the world. His invasion of Afghanistan in 1979 and détente, and damaged Moscow's reputation around the globe. In domestic affairs, he presided over a steady decline in the economy, marked by corruption, inefficiency, and rapidly widening weakness in technological advances, especially computers. Nevertheless he was a force for political stability inside the Kremlin, maintaining his power despite his rapidly declining health after 1975. The Secretariat of the Central Committee of the Communist Party of the Soviet Union (CPSU), often referred to as the Secretariat of the CPSU Central Committee, had responsibility for the central administration of the party as opposed to drafting government policy. Nikolai Viktorovich Podgorny was a Soviet Ukrainian statesman during the Cold War. He served as First Secretary of the Central Committee of the Communist Party of Ukraine from 1957 to 1963 and as Chairman of the Presidium of the Supreme Soviet from 1965 to 1977. He was replaced as Chairman of the Presidium of the Supreme Soviet in 1977 by General Secretary Leonid Brezhnev. That same year he lost his seat in the Political Bureau (Politburo) and was forced to resign from active politics. Alexei Nikolayevich Kosygin was a Soviet-Russian statesman during the Cold War. Kosygin was born in the city of Saint Petersburg in 1904 to a Russian working-class family. He was conscripted into the labour army during the Russian Civil War, and after the Red Army's demobilisation in 1921, he worked in Siberia as an industrial manager. Kosygin returned to Leningrad in the early 1930s and worked his way up the Soviet hierarchy. During the Great Patriotic War, Kosygin was a member of the State Defence Committee and was tasked with moving Soviet industry out of territories soon to be overrun by the German Army. He served as Minister of Finance for a year before becoming Minister of Light Industry. Stalin removed Kosygin from the Politburo one year before his own death in 1953, intentionally weakening Kosygin's position within the Soviet hierarchy. A member of the Presidium of the Central Committee of the Communist Party of the Soviet Union was a member of the nomenklatura, the country's de facto ruling class. Nikita Khrushchev chaired the Presidium from 1955 to 1964; Leonid Brezhnev succeeded him that year and chaired until 1982. In contrast to full members, candidate members of the Presidium could not vote during Presidium sessions. It was normal that a full member of the Presidium had previously served as a candidate member, but this was not always the case. During the term 23 people held seats in the Presidium: 14 full members and 9 candidate members. One candidate member was promoted to full membership in the Presidium during the term. Not a single Presidium member died during this period while retaining office. The Premier of the Soviet Union was the head of government of the Union of Soviet Socialist Republics (USSR). Twelve individuals became Premier during the time span of the office. Two of the twelve Premiers died in office of natural causes, three resigned and three had the offices of party secretary and Premier simultaneously. The first Premier was Lenin, who was inaugurated during 1922 after the Treaty on the Creation of the Soviet Union. Ivan Silayev spent the briefest time in office at 126 days during 1991. At more than fourteen years, Kosygin spent the longest time in office and became the only premier to serve in more than two government cabinets. He died soon after his resignation during 1980. The Central Committee of the Communist Party of the Soviet Union was the executive leadership of the Communist Party of the Soviet Union, acting between sessions of Congress. According to own party statutes, the committee directed all party and governmental activities. Its members were elected by the Party Congress. Collective leadership is a distribution of power within an organisational structure. It is considered an ideal form of ruling a communist party, both within and outside a socialist state.